Stay fuss free about the safety of your monetary essentials by carrying them in this wallet presented to you by Lavie. 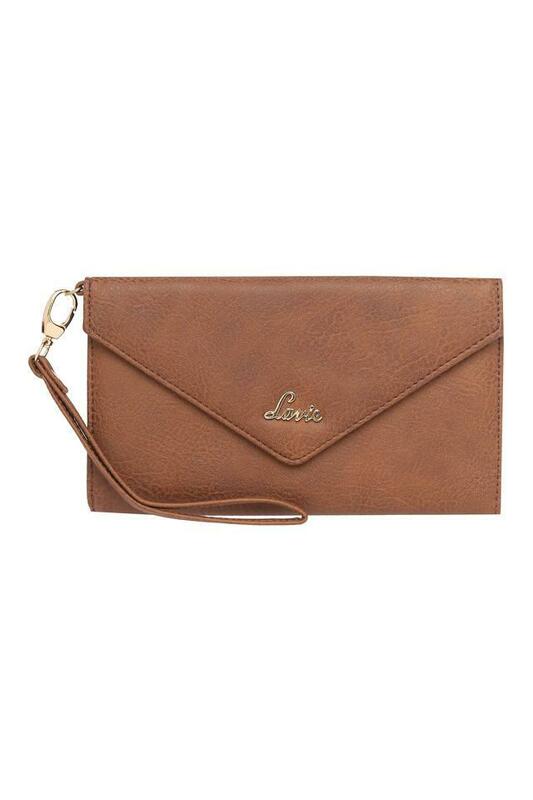 Featuring a snap closure which ensures the safety of your belongings, it also comes with a metal branding on the flap that renders it beautiful. Besides, the outer slip zip pocket makes it utilitarian. 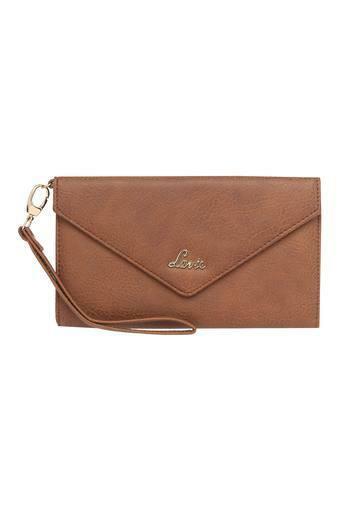 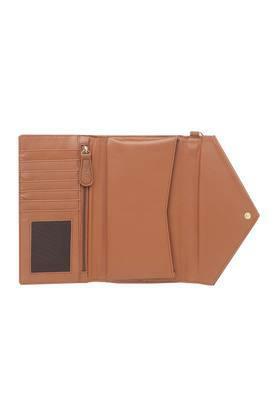 Suitable for everyday usage, this wallet is both compact and spacious. 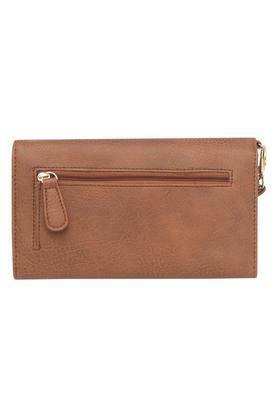 It comes with a snap closure that offers safety to your belongings and makes it convenient to use.